Tonight! 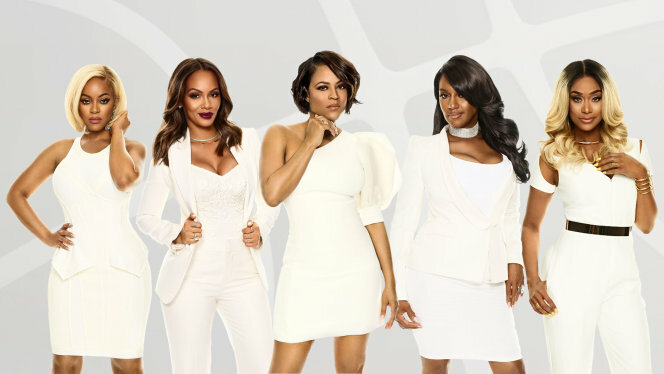 ALL NEW Basketball Wives Season 6 Season Finale at 9PM on VH1 #BasketballWives ~ Phresh Hott New! On today episode of Basketball Wives Season 6, “Finale” Evelyn receives an advanced copy of Ta’kari’s manuscript and reads excerpts to Jennifer and Shaunie. Tensions are high as Jackie and Evelyn sit face to face. Shaunie and Jackie’s friendship is tested when Shaunie finds herself caught in the middle. So! What Is Written In Ta'Kari's Book?....... Look below as while at the beach Evelyn, Jen, and Shaunie read excerpts from Ta'Kari's upcoming book about Jackie.